Super Systems, Inc. recently completed two upgrade projects at American Heat Treating in Dayton, OH. Controls were upgraded on a Beavermatic integral quench furnace that included a Series 9205 with a 12.1” HMI for atmosphere and temperature control and datalogging, a Series 804 for oil quench temperature control (heating and cooling), and other ancillary items. A second project included a controls retrofit of a Lindberg 3000 SCFH endothermic generator with an SSi AutoGen control system. 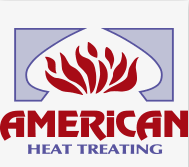 American Heat Treating, located in Dayton, Ohio is a full service commercial heat treating company with atmosphere, vacuum, flame hardening, cryogenics, straightening and sand/shot blasting. ISO 9001:2015 certified. For more about American Heat Treating visit www.ahtdayton.com.